Buying a home can be a very exciting time in an individual’s life. Looking through real estate catalogues and house hunting is fun, no question there. What is not so much fun is your first conversation with a loan advisor and finding out that your credit score is not what you thought it was. The world of credit scores is mysterious to say the least. Many people think that if they have a good stable income and basically pay their bills on time they should have a perfect credit score. This is not always the case, though. There are sometimes invisible forces at work pulling that score down. This could possibly affect your dreams of getting that home with good mortgage rates. Here are five quick tips that can give can turn bad credit scores into good credit scores. This is a great tip to focus on while you are house hunting and dreaming about your perfect home. This is also probably the simplest step. Cutting out a few frivolous indulgences a month can add up to some real cash that you could be putting toward your credit card balances. Multiple trips eating out or to the movie theater really add up in a month’s time. Consider a few recreational expenses that you would be willing to do without for a few months and pile it all on your credit cards. If making sacrifices like this are hard for you consider that your credit card balances make up 30% or your credit score. You never really know what type of little credit trolls are lurking on your report until you actually review it for yourself. Many people are shocked to find crazy errors on their reports, sometimes even bills or delinquencies that actually belong to another person with a similar name, or more often, to other family members. Reviewing your own credit report gives you the chance to find such mistakes and get them cleared up before they have a chance to embarrass you while applying for a home loan. This step is the one thing that might take some real effort. Often disputed accounts are not only harmful to your credit score but something that creditors like to simply ignore and ignore. You must remain stubborn on this and continue to contact creditors insisting they fix the problem. Keep contacting them until the issues are resolved. People will often make the common mistake of avoiding use of credit cards while trying to improve their credit score. This actually does not improve or harm your credit. However, using the cards wisely and making payments in a timely fashion does improve your credit rating. Pick a specific expense to use the card on for a few months. Choose an expense that you know you already have cash for such as groceries. Simply apply the cash to the credit card bill instead. The ongoing wise usage of the card and consistent payments can pop your score up a bit. While trying to improve your score do not open new accounts or close old accounts. 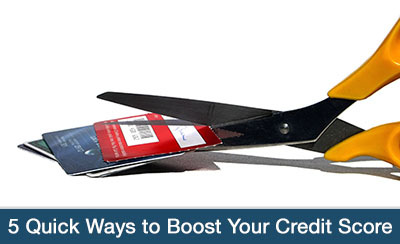 Both of these actions can negatively impact your credit score. Instead leave things as they are for now. Do not run up balances and make sure you make your payments on time.